Instagram is a free photo sharing app that lets users take pictures with their mobile phones, apply an optional “filter” to the image and share it with their friends via Facebook, Twitter or Instagram’s own social network. Instagram launched as an iPhone app in Apple’s App Store on October 6, 2010. By December 2010, Instagram had one million registered users (it took foursquare a year to reach this milestone and Twitter two years). By July 2011, Instagram users had shared over 100 million photographs. It reached 10 million registered users in September that year. The number has hit 100 million by September 2012. The Android version received over 430.000 pre-registrations and when it finally released on 3rd April 2012, it was downloaded over a million times in less than 12 hours. Apple named Instagram app of the year for 2011. 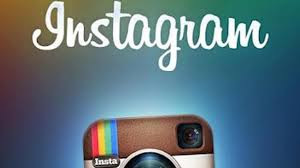 In April 2012 Instagram was aquired by Facebook for about 1 million $ in cash and stock. More than 1 billion Instagram photos have been uploaded so far. #cat is the second most popular tag on Instagram, after #iphoneography. 37% of Instagram users have never uploaded a photo. When the Android app was released in early April 2012, it was downloaded over 1 million times in less than 24 hours. The company has only 14 employees. Instagram will turn 2 on 6 October 2012. 575 “likes” are generated on Instagram per second. Believe it or not, Instagram is the most followed account, boasting a following of over 8.6 million. Kim Kardashian is the most followed “celebrity”, with over 4.1 million. Kevin Systrom, CEO and cofounder of Instagram, used to intern at search destination website, Odeo, the company that put plans in place to develop Twitter. Social media is so incestuous. roughly 58 photographs are being uploaded each second. Instagram gains 1 new user every second. There are 7m users worldwide currently, who are uploading 1.3m photos every day. Over 150 million photos have been uploaded in total, on average 15 per second. 8/10 of all photos uploaded have had a filter added.